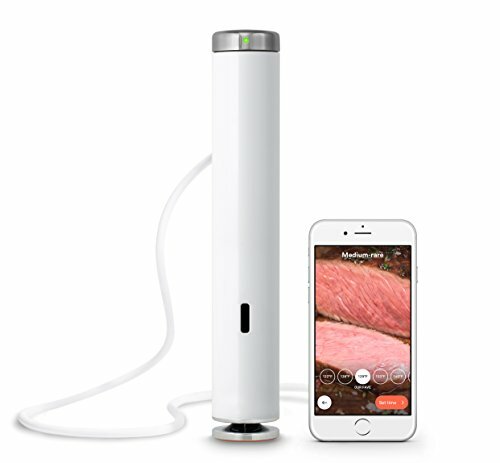 Is it safe to cook foods sous vide? Can you really cook in plastic bags? If you're curious about sous vide cooking, but have concerns about its safety, read on! We answer all your most urgent questions. Sous vide cooking is amazingly hands-off, easy to sync with your schedule, and capable of delivering consistently mind-blowing results. No wonder this method is increasingly winning over home cooks. With its vacuum bags and gently whirring baths of water, sous vide cooking is radically different from the skillets and burners we’re used to in conventional methods. So it’s only natural to wonder how the rules of food safety apply. If you’re worried about cooking foods in plastic or scratching your head about what seem like unusually low cooking temperatures, take heart—we have the answers! Is it safe to cook in plastic? In short, yes. It depends on the kind of plastic you use, and what temperature you cook your food to. Okay, then what kind of plastic is safe for cooking sous vide? A lot of us have concerns about bisphenol A (BPA) because it’s been found to disrupt hormone function. But BPAs only appear in rigid plastics, and not the flexible plastics used to make bags and wrap. Because your food only comes into direct contact with flexible plastics when you’re cooking sous vide, you don’t need to worry about BPAs. The plastic packaging recommended by sous vide experts is almost always made of food-grade high-density polyethylene, low-density polyethylene, and polypropylene. The temperatures used in sous vide cooking (always well below boiling) are not nearly as high as those reached in a microwave, so the opportunities for plastics leaching chemicals with sous vide are greatly minimized. What Kind of Container Should Be Used for Sous Vide? 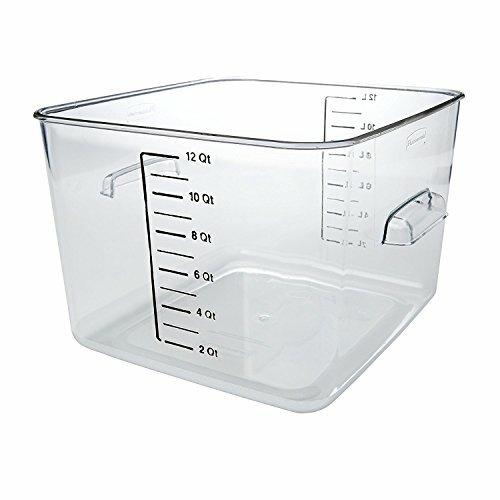 Most home cooks will use a metal stockpot to hold the water bath when cooking sous vide—you probably own a perfectly fine stockpot already—but some chefs and cooks like to use large, rigid polycarbonate containers that were manufactured for food storage (such as this one). Such containers do contain BPA, but keep in mind that when you’re cooking sous vide, the heated water and the food don’t come into contact—there’s always the plastic bag between them. If you’re still feeling iffy about it, there’s nothing wrong with sticking to your trusty stockpot. How will I know if the bags I’m using are safe? You can’t go wrong with a bag made specifically for vacuum sealing or cooking sous vide. If you’re cooking in zip-top freezer bags and not sous vide bags, know that name-brand plastic bags tend to be made of safer, higher-grade plastic (polyethylene) than bulk or generic bags and films. Who knew there was a such a difference? As a rule of thumb, use brand-name bags and wrap for cooking sous vide. You can always save the cheapie stuff for packing lunches. Look for zip-top bags that say they’re microwave safe (a lot of generic ones will say “not for microwave use” right on the box). At Simply Recipes, we recommend using quart- or gallon-sized Ziploc Freezer Bags for sous vide cooking. Temperatures around 158°F (70°C) or higher can sometimes cause the seams of zip-top freezer bags to split. This isn’t a safety concern as much as a nuisance, since it means water gets into the bag with your food. As a precaution, you can double-bag foods when cooking in zip-top bags. If you’re using a vacuum-sealed bag, it won’t be an issue. If gently heating plastic bags is something you just can’t get over, it’s still possible to give cooking sous vide a spin. You can cook eggs directly in their shells, and custardy or dense foods such as yogurt or custard (or our Sous Vide Cheesecake in Jars!) can be cooked in glass canning jars. Can I re-use bags used for sous vide cooking, either for more sous vide cooking or for other purposes? According to the manufacturers of vacuum seal and sous vide bags, yes, but not if the bags previously held raw meat, poultry, seafood, or eggs. If you’re queasy about re-using plastic bags, look into silicone bags made just for sous vide. They’re sturdy, reusable, and dishwasher safe. Isn’t it dangerous to cook chicken to 158°F instead of 165°F? It’s the golden rule of cooking poultry, one that’s been pounded into our brains (and for a good reason): Always cook chicken to 165°F. The USDA’s recommended temperatures for safely cooking meats and poultry were created for conventional cooking methods, like roasting and stove-top cooking. However, cooking chicken at lower temperatures for longer periods will kill those same pathogens just as effectively. Think about it like pasteurizing milk. Pasteurization, just like sous vide cooking, is a function of both temperature and time. One way to pasteurize milk involves using very high heat for a short period of time (ultra-pasteurized); the other is to pasteurize at a lower heat for a longer time. Both pasteurization methods get you safe milk in the end, and the same logic applies to foods cooked using conventional cooking methods (which cooks foods quickly at higher temp) and sous vide (which cooks food slowly at lower temp). This same logic—cooking foods to lower final temperatures than you’re accustomed to with other methods—also applies in sous vide cooking to pork and eggs. You’re essentially pasteurizing the food. So breathe easy! After cooking sous vide, can I use the juices in the bags as a sauce? Definitely! There’s tons of flavor in those juices, and they reached exactly the same temperature as the solids cooked in the same bag—which is to say, if the solid food is safe, the liquid is, too. From a culinary standpoint, you might want to reduce the liquid in a skillet to concentrate it. Just be aware that if your cooking liquid contained salt, then reducing the liquid can make it taste more salty. Is it safe to cook vacuum-sealed foods? Great news: it’s safer to cook vacuum-sealed foods. Aerobic bacteria (bacteria that needs oxygen to live) can’t thrive in a vacuum-sealed bag with little to no air. Botulism spores can live without oxygen, so it makes sense to wonder about it when cooking vacuum-sealed foods. First of all, know that botulism cases are very, very uncommon in first world countries (in the US, there were 205 confirmed cases in 2016, and only 14% of those cases were foodborne). The best way to prevent botulism in general is to keep hot foods hot (131°F or higher), cool cooked foods quickly (we already know that’s a snap with an ice bath), and then get them into the refrigerator or freezer, stat. Also, since it takes prolonged storage for botulism spores to reach toxic levels, it’s not even an issue with food you’ve cooked sous vide and refrigerated because you won’t be keeping it for months and months, as you would home-canned food. 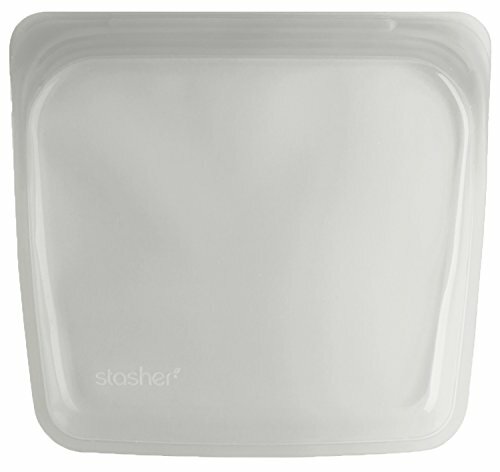 Does it make a difference if I’ve vacuum-sealed the food or just pressed out the air in a zip-top bag? The more air you remove, the more you prevent bacterial growth. So it’s better to use a vacuum sealer, but it’s still plenty safe to DIY it using food-grade, zip-top bags by pressing out air using the water displacement method. By the way, even though it’s not necessary to use a vacuum sealer for sous vide cooking, anyone can benefit from one for regular food storage. Vacuum-sealed bags take up less space in your freezer and the food inside is a lot less susceptible to freezer burn. Best of all, vacuum sealers are just really fun to use! Food Saver is a really popular brand because it’s easy to use and is relatively inexpensive; this model is a good place to start. If you think you might really spend a lot of time cooking this way, you may want to search out the Waring Pro Pistol, which I prefer because because you can often re-use the bags (they’re sealed with zippers) and it also stores foods with sauces/liquids in them. However, the model I like has been discontinued, but you might be able to find something online somewhere. Is it safe to cool foods cooked sous vide while still sealed in the bag, and then refrigerate them? It is! Once again, it’s safer to store food in the same bag it was cooked in, because you don’t run the risk of contaminating the food by transferring it to another container. Just be sure to cool your bags quickly before refrigerating them. Plunge the sealed bag in a large bowl of ice water to cool it down super fast. This is helpful if you want to cook ahead, and then gently reheat, say, chicken thighs you have cooked sous vide. It can all happen in the same bag. What about cooking foods directly in their frozen state? If your uncooked food was vacuum-sealed in higher-grade plastic (like we discussed earlier) and then frozen—yes, it is safe to cook it sous vide straight from the freezer. When cooking foods from frozen, you’ll need to adjust the cook time accordingly, so there’s a little math involved (here’s a handy guide from ChefSteps). The rule of thumb is to divide the cooking time for non-frozen food in half, and then add that to the standard cooking time (e.g. 60 minutes for fresh chicken would be 90 minutes from frozen). If you think about this in terms of meal planning and batch prep, imagine the possibilities! There’s a leap of faith here, because it wouldn’t be safe to pop a frozen chicken in a 450°F oven, but trust us, it works. A lot of the safety has to do with the packaging, actually. With vacuum-sealed foods, there’s way less surface area exposed for bacteria to grow on, so the food you’re cooking is in a much more pristine environment than loosely wrapped meat that’s been thawing in the fridge, or in a pan in the sink. If I can cook frozen food sous vide, can I also reheat leftovers sous vide? You bet. If it’s still sealed in the bag you cooked it in and you’ve followed the guidelines laid out above, then the food is pasteurized and safe to eat. If you opened the bag, you can seal cooled leftovers in a fresh bag and later reheat the food sous vide. You only need to heat it up enough to get it to the best temperature for eating. Generally, that’s a few degrees below the temperature it was cooked to initially. How long do foods cooked sous vide keep in the fridge? Foods cooked sous vide and refrigerated in the sealed bags they were cooked in have a longer shelf life than foods that were cooked and transferred to a different container. You can refrigerate cooked, properly cooled foods in their unopened sous vide bags up to 10 days. If you’ve opened the bags, your leftovers will have the same shelf life as conventionally cooked leftovers. Is it safe for pregnant women, children, the elderly, and people with compromised immune systems to eat foods cooked sous vide? If the foods were correctly prepared, yes. In fact, because of prolonged cook times, you can make food safer by pasteurizing it sous vide—making it possible to serve a rare steak without the same risk of it carrying pathogens as a conventionally prepared steak. Once you get the hang of sous vide cooking, its advantages on the food safety front become clear. The key is to just get comfortable with the process, and to seek out solid information when you need it. Most manufacturers of sous vide equipment have excellent articles on their websites if you’d like a closer look at anything. Sara Bir a graduate of The Culinary Institute of America and the author of two cookbooks: The Fruit Forager’s Companion and Tasting Ohio. Past gigs include leading chocolate factory tours, slinging street cart sausages, and writing pop music criticism. Sara skates with her local roller derby team as Carrion the Librarian. What a GREAT post. I just joined the Sous Vide “tribe” and am glad to know these tricks and tips. I’m still learning all the possibilities, but now better understand how to sous vide foods that are frozen. I have owned a vacuum sealer for years, so buying a Sous Vide circulator was perfect! Such an amazing summary of ALL the questions I get on sous-vide. Thanks Sara! As a health inspector , I totally disagree. You still need to reach the final cooking temp of 165 for chicken. Home cooks and home equipment is just not reliable enough to be sure of pasteurization. Not worth the risk. Hi, Beth! Thanks so much for sharing your thoughts on this! Based on our research, sous vide immersion circulators (like the Joule, Anova, and Nomiku) are tested exhaustively before being put on the market for chefs and home cooks, and they have proven to be extremely reliable. We feel confident that if cooks are using the circulators properly and following recipe instructions, they will be able to successfully — and safely — cook their food sous vide. As if BPA is the only thing to worry about. We used to be told that was safe as well, and then it turned out not to be. I personally won’t use this method, and whatever you may think of the safety, it’s wasteful and horrible for the environment to use so many disposable bags. I see and appreciate that you linked to reusable silicone ones, but I still don’t trust those for heating food.